In Maimonides’ introduction to the Sefer Hamitzvot (“The Book of Commandments”), he states the goal he set to accomplish with authoring this work. The Talmud (end of Tractate Makkot) tells us that there are 613 biblical precepts—248 of which are “positive commandments,” i.e., mitzvot that require an action on our part, and 365 “negative commandments,” i.e., prohibitions. The 248 positive commandments correspond to the 248 limbs in the human body, each limb, as it were, demanding the observance of one commandment. The 365 negative commandments correspond to the 365 days of the solar year, each day enjoining us not to transgress a certain prohibition. I sometimes wish I could live the life of a scholar, immersed in the ancient tomes, pouring over arcane literature, seeking the wisdom of the ancients. I find what little I am able to study extremely rewarding, but it leaves me longing for more. There are a number of reasons why I don’t pursue such a path more wholeheartedly. For one thing, I most likely am not quite bright enough to truly become a scholar. I consider myself an “interested amateur” in the realm of the Jewish learned texts, but that’s just about it. Also, I have to make a living, and my work involves a completely different set of disciplines and skills. I can hardly quit my “day job” and throw myself into Jewish study full time. My wife would have a fit. Finally, I lack an appropriate Jewish venue for learning. Sure, I could take some online courses, but that would involve the time I’ve already said I do not have and alas, the funds that are dedicated to supporting my family, so such is not to be. Given all that I’ve just said, please forgive the multitude of the mistakes I’m about to make. All of the observations are my own including any errors. I can only plead ignorance and excessive enthusiasm. But I am having a blast reading Chabad’s daily commentaries on the Rambam’s Sefer Hamitzvot. You might consider such a line of interest a waste of time for a Christian. After all, what does Jewish philosophy, theology, and thought have to do with the Jewish Messiah (or did I just answer my own question)? In terms of how the church chooses to view their devotion to Jesus Christ, Maimonides has practically nothing to do with faith in Christ. 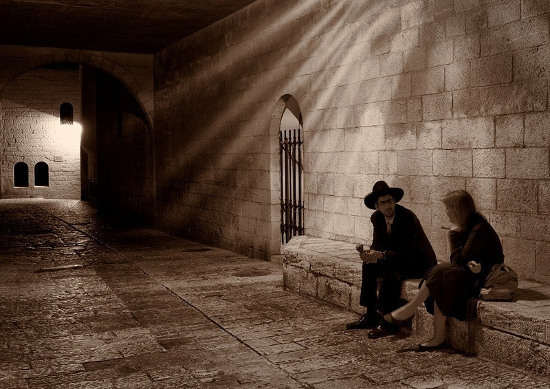 On the other hand, how can we really understand the Jewish Messiah and his modern-day Jewish disciples if, as his Gentile disciples, we don’t even dip one toe into the wells of Jewish wisdom? In his book review of First Fruits of Zion’s book Biblically Kosher, Gene Shlomovich makes a few interesting comments that speak to this point. Messianic Jewish congregations do not lack food. Far from it, there’s usually plenty of it in our synagogues. But is it kosher? In my experience, most of the congregations only pay lip service to kashrut, often not extending it beyond not serving pork and shrimp. The same even goes for many of the leaders as well. Even worse, our Messianic Jewish conferences, the showcases of our Jewishness, of our unity and solidarity with the Jewish people and Judaism, of our allegiance to Torah, are often located far away from Jewish communities or from kosher establishments, with most participants expected to partake in the non-kosher fair served up by the hotel where the conference is taking place! 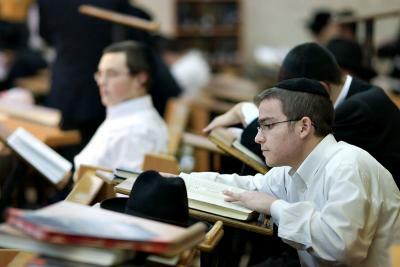 One can cite many reasons for this – historic Christian anti-Judaism that has left its mark resulting in aversion to all things “rabbinic”, rampant secularization of American Jewry, unwillingness to put in the effort required, perceived and actual higher costs of keeping kosher, and often just plain ignorance. This rather shocking commentary shows that even a significant number of those people and congregations that purport to be Messianic Jewish choose not to grasp the “Jewishness” of being a Judaism (Messianic or otherwise). I don’t doubt their sincerity in and devotion to Jesus as the Jewish Messiah and as Lord and Savior of humankind, but for the most part, the “Jewishness” of their “Judaism” is just so-so (and if I, a gentile Christian can make such an observation, imagine what impression these groups make on other Judaisms?). If you are a Christian with a deep interest in Judaism and its Messianic applications, just say so and proceed accordingly. That might be a better path than recreating Gentiles in a Jewish image and suggesting that you are something other than who you (we) really are. Am I being too harsh? That leads me to something I just read in my Chabad study of Sefer Hamitzvot. I think it’s interesting. Do not count Rabbinic Commandments in this list. E.g. lighting Chanukah candles or reciting the Hallel. Indeed, this seems obvious, for the Talmud says that 613 mitzvot “were given to Moses at Sinai,” and rabbinic mitzvot were not instituted until later dates. But in truth, we follow rabbinic rulings because of a biblical mandate: “You shall not divert from the word they tell you, either right or left” (Deuteronomy 17:11); and as such, before performing a rabbinic mitzvah, we say a blessing in which we thank G-d for “sanctifying us with His commandments and commanding us to…” Nevertheless, the individual rabbinic precepts are not counted as part of the 613 (and, are considered “rabbinic,” a classification that has certain halachic implications). Many Messianic Jewish groups put forth the supposition that Gentile Christians are equally obligated to the same 613 commandments (the current codification of which were created by Rambam) as their Jewish counterparts. I’ve said more than once that any attempt of non-Jews to emulate a Jewish lifestyle, especially one that eschews all but the most basic tenets of Judaism (particularly oral tradition and Talmud), will be at best inadequate and at worst, a sham. I’m not encouraging non-Jewish Christians to take on a Jewish lifestyle, especially “just for giggles,” but if you insist on pursuing a knowledge of Judaism and feel compelled to take on some of the mitzvot as a personal conviction (and I can certainly relate to this), then you might want to acquire some sort of idea of what you’re getting into. Getting back to Principle 1 though, I find it fascinating that the rabbinic judgments are not to be included in the 613 commandments. At first blush, it seems as if it may be correct to divorce the written Torah from its oral and midrashic counterparts, as certain parts of Messianic Judaism have indeed done. But the very idea that there are 613 commandments comes from Talmud. While the Talmud gives us these precise numbers, it does not list the 248 positive commandments or the 365 negative ones. Thus, numerous “mitzvah counters” have arisen throughout the generations – many who preceded Maimonides – each one attempting to provide a comprehensive listing of the mitzvot, each one’s list differing slightly from all others’. The idea isn’t that the written Torah has authority and the oral Law, Talmud, and halacha don’t, but that they are intricately interwoven and interdependent elements. The Torah of God given at Sinai is of God. Of this, there is no dispute. However, in Judaism, the oral Law was also given at Sinai, but only to Moses. Without the oral Law, there would be no hope of understanding, let alone implementing, the written mitzvot. Yet, in the post Second Temple period, it became necessary to document and understand written and oral Torah in relation to a world without a Temple, without a priesthood, without the sacrifices, and without Israel. But this doesn’t mean that rabbinic rulings are the same as the Word of God. Rambam’s gift to the Jews is to provide documentation of how the Laws of God are to be understood and implemented within Judaism. This is an important point, because the Torah laws, for the most part, aren’t implemented in such a precise manner within much of Messianic Judaism (even many congregations in that portion of MJ that is devoutly Jewish in their observance may need a “touch up” here and there). In other words, you can’t just read the 613 commandments in a list and think you know what you’re reading and how to respond to them. That’s why Rambam wrote the Sefer Hamitzvot in the first place. That’s why the Talmud exists, why the Beit Din exists in many Jewish communities, and why there is a continually growing body of Jewish rabbinic rulings and judgments as questions and situations arise requiring them. The Sefer Hamitzvot is a document limited in scope but one that couldn’t exist apart from the wider body of Jewish law and interpretation. Any non-Jew or any Jew who does not have a history grounded in traditional Jewish learning (and who is in the Messianic community in some capacity) will want to pay attention to the Torah as the foundation, and also the so-called “leaven of the Pharisees,” (I say that somewhat tongue-in-cheek). This “leaven” is what adds the dimensions of meaning to what might otherwise be a compelling and driving force in Jewish life, but also a rather unattainable Torah. The Torah is not in Heaven. Once given to men, men must learn to understand God’s intent within the world where we live. As I’ve already said, I’m not an expert in this area. I’m only an interested amateur, so I probably got everything wrong just now. On the other hand, it’s better to get everything wrong and admit ignorance than to claim to have everything right and still be completely turned around. At least in the former case, there’s always the opportunity for correction. Even the best explorers get lost. Only the foolish explorers think they never can be. When you find the Infinite, where will you put it? In a new whole one? Let the heart be broken in bitterness for its confines. Let it be whole in the joy of a boundless soul. This is the secret that Man holds over the angels: Only the human heart can be broken and whole at once. I must admit to some impatience with Chassidic existential angst over the human condition and exorbitant claims for the capacity of the human soul. Hazal, the sages of early Judaism, saw things differently. For them, our basic problem is not our “confines.” The heart is not “broken in bitterness” because it is confined but because of sin. “The sacrifices of God are a broken spirit; a broken and contrite heart, O God, you will not despise.’ (Ps. 51:19, Hebrew; see Leviticus Rabbah 7.2). It is joyous because the knowledge of God comes through forgiveness, “for they will all know Me, from the least of them to the greatest of them, declares Hashem, for I will forgive their iniquity, and their sin I will remember no more” (Jer. 31:34; see Song of Songs Rabbah 1.1.4). Yes, we know God by his nearness “to the broken-hearted” (Ps. 34:19; again, see Leviticus Rabbah 7.2). Nice post and an important discussion. I can definitely relate to your comment about wishing we “could live the life of a scholar, immersed in the ancient tomes, pouring over arcane literature, seeking the wisdom of the ancients.” However, I also recognize that all of us are also limited by the need to “make a living.” At the same time I think you cut yourself short in stating that you are “not quite bright enough to truly become a scholar.” I beg to differ. I really enjoy reading your blog, and even if I at times disagree, there is always a clear and intelligent approach. Therefore, we sometimes need to be careful to not be so quick to make judgments against others whom we may see eating at a non-Kosher establishment at a Messianic Jewish conference, for example. We cannot always just assume that by doing so they are not observing kashrut. They may be just approaching things from a more progressive approach. Let me be clear that I am not necessarily advocating for eating in non-kosher restaurants. But at the same time I recognize that not everyone has all the kosher options as I have (in my neighborhood, there are 30+ different kosher restaurants within a one mile radius, not counting the additional kosher markets, etc.). Therefore it is easy to eat kosher when I am at home. However, I also travel many places where there are no kosher restaurants. Yes, that makes kashrut a little more difficult, but it still can be done. We also need to recognize that everyone is on a journey. And we should encourage people to be honest with themselves about what they can do (and not label it as kosher), but at the same time help them make the best of where they are at, and help people learn how to keep a higher standard of kashrut, even if they choose to continue eating in non-kosher restaurant. As a pulpit rabbi I cannot always expect everyone to keep the standard that I do. However, I can at least help them along on their paths and help them do something that they able to do, as well as a level they can also maintain. Anyway … just some additional thoughts to consider. I totally agree with you that most people who claim to keep kosher do not, and that it would be more honest to recognize their observance as “kosher style.” However, at the same time I would like to comment on what seems to be a subtle problem in your approach here. IMHO, the approach in Gene’s comment, which it seems you then continue, seems to assume that the only “Jewish” approach to Kashrut is an Orthodox one. I agree that the “problem” is more complex than I may have let on, but I don’t want to overstep my “bounds” as any sort of authority on the matter. My wife says that one day she’ll kasher our kitchen once our last child moves out (although, I’m not sure how that’ll work relative to grandkid visits). We’ve discussed the fact that living in Boise, Idaho, we are “heck and gone” from any kosher restaurants (we’d probably have to go to Portland or Seattle to find one), so we’d either have to never eat out, or adjust the level of kosher keeping depending on where we are. A lot of my “food rant” was actually aimed at “Messianic” folks who think they’re keeping kosher just by not eating bacon but who will then wolf down a whole bag of marshmallows, not considering that in most cases, they’ll be made of pork-based gelatin. I’m trying to communicate that living a Jewish lifestyle and participating in a Judaism (and you know all of this, of course) is a lot more involved than most non-Jewish participants in Hebrew Roots/Messianic Judaism believe. If Gentiles intend on living a Jewish lifestyle, they’ll have to go beyond the written Bible to find it. Otherwise, what they’re doing may be “religious” but it’s probably not Jewish. I’m also trying to chip away at that age old question: who is a Jew? Interestingly enough, I just read an article at Jewish Ideas Daily that goes into the same subject. I guess Jewish identity is something that is continually evolving across the historic and cultural landscape, and while we may not be able to all agree on an answer, it’s a question that needs to stay alive. If Judaism doesn’t stay in charge of defining itself, then the rest of the world will do the job for them, and I promise in the latter case, it will turn out bad. Joshua… I prefer to view my approach to kashrut as “traditional with much sympathy for the disconnected, the uninitiated and beginners”. James this is quite thought-provoking as usual. Leaven = hypocrisy of “some” pharisees. Leaven does not necessarily refer to (or include differences in opinion around) the Traditions of the Elders. Do we know anything about differences in legal opinion or practices between devout Jews (e.g. Galilee versus Judea) regarding food matters similar to that which seemed to exist about eating without the ritual washing of hands during Jesus’ time (as in Matt. 15:2)? I don’t, but that doesn’t mean the information isn’t available somewhere. It just means I’m not an expert in the history of first century occupied Judea. I would add…One has to be very Orthodox to meet the Standards because it does take effort! Further one can buy meats through Kosher Companies. Products will arrives packed in dry ice. .. but it is not inexpensive. Maybe I should have said, ‘committed’..and not Orthodox.